Don't miss this one! Beautiful home on a cul-de-sac in Mountainbrook Village. Highly sought after ACACIA has just been remodel! 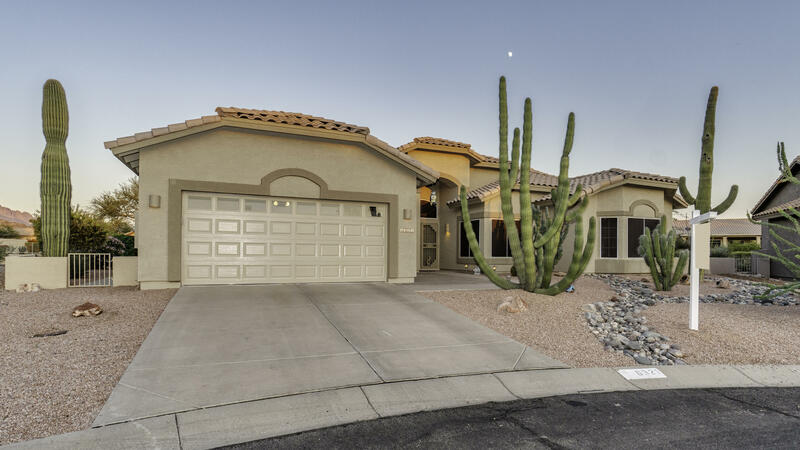 3 bedrooms, new tile flooring, granite and a view of Superstition Mountain. Huge walk in master shower. Fireplace in great room! Extended patio and desert landscaping Enclosed yard is great for pets. Extra large laundry room provides storage space. Garage is extended with an Epoxy flooring.